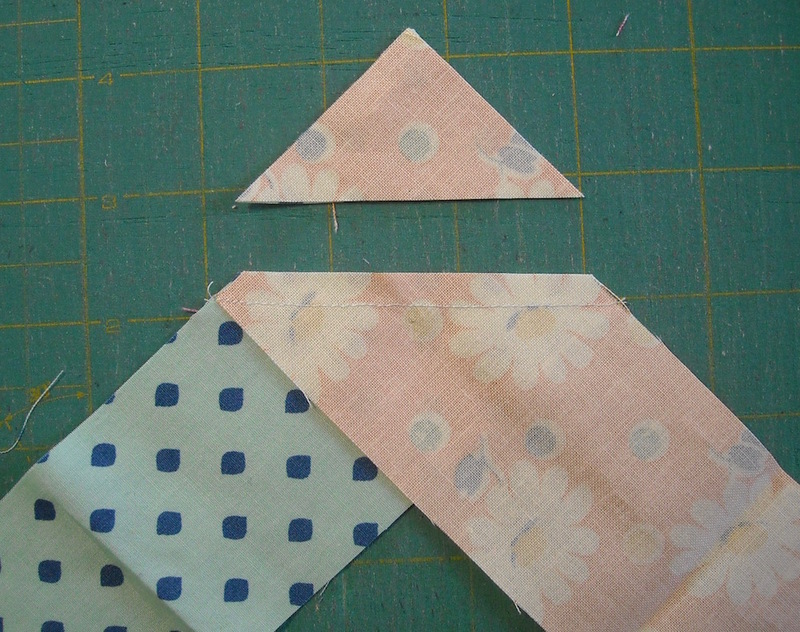 Today I’m here to show you how I made scrappy binding for my Triangle Salad quilt. 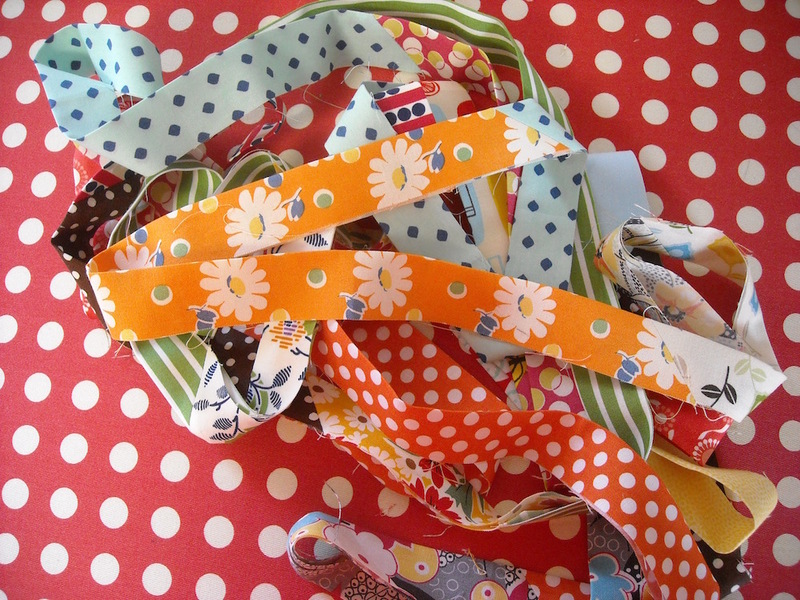 Have I ever mentioned how much I love scrappy binding? I really do. 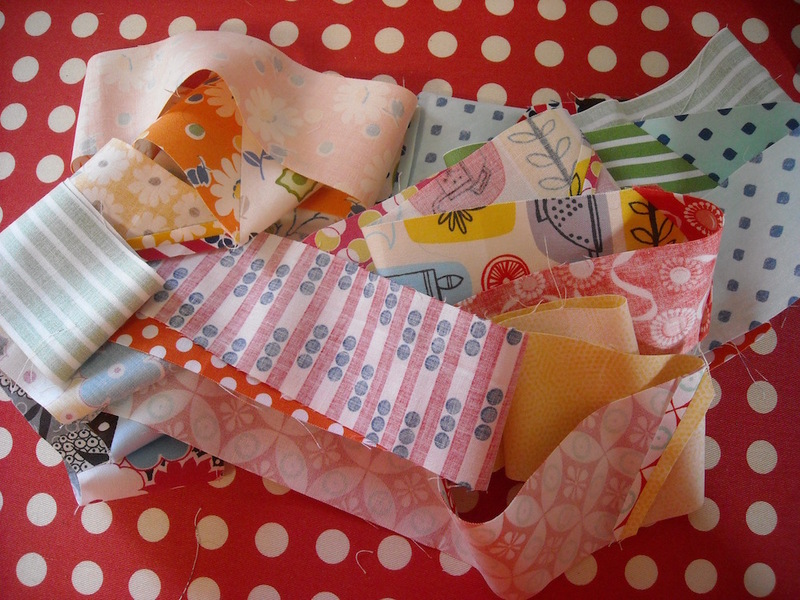 Even if you’re not making your binding scrappy, this tutorial will still apply — you’ll just be working with longer strips. 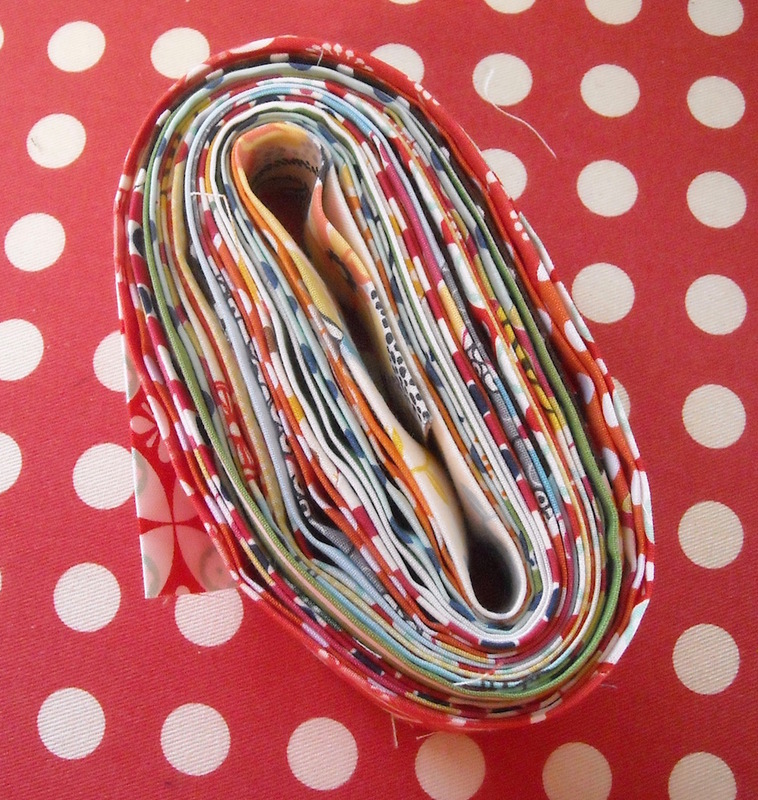 So you’ll need 7 strips WOF to make your binding from. 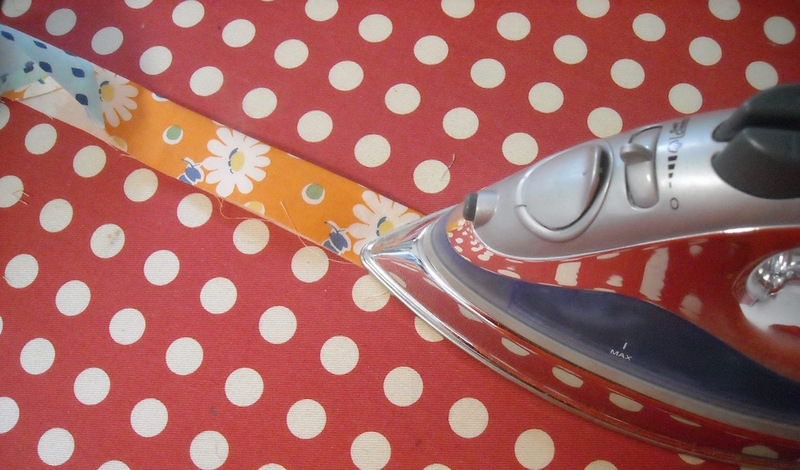 If you’re making yours scrappy, like mine, then you probably won’t have WOF strips that you’re cutting from. I cut from all sorts of pieces. 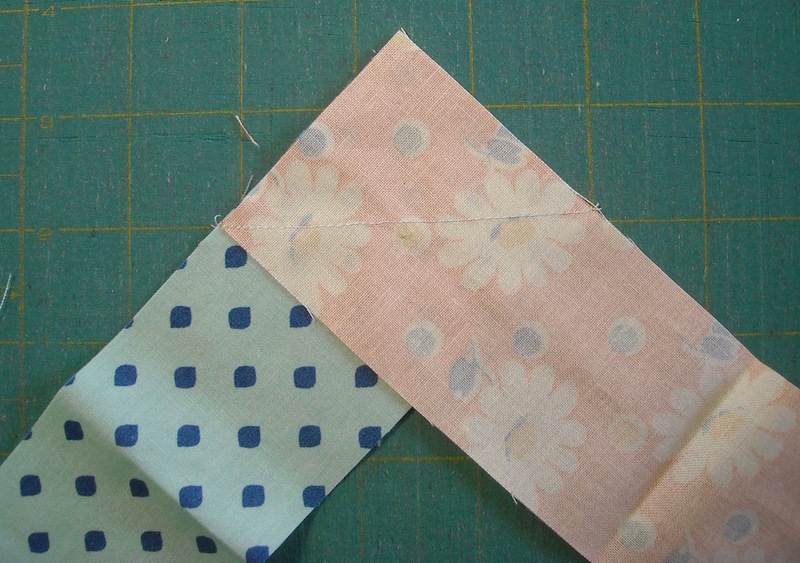 Besides, longer strips take away from the loveliness of a scrappy binding, so you want to work with smaller pieces. Just cut enough pieces so that when you get them all sewn together, you’ll end up with the 264 inches of binding you need. And the good thing is, if it’s not long enough, you can just add another scrappy piece to the end until it is! Here are my strips. 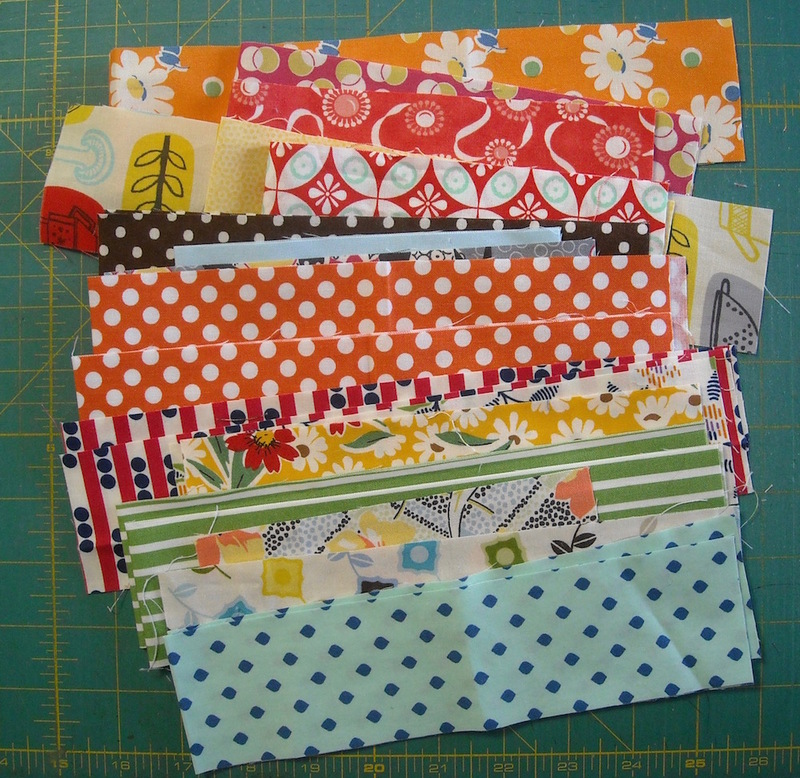 I cut them 2 1/4″ wide, and various lengths, but you may prefer yours a different width — it’s up to you. Keep repeating this until you have all your strips joined together into one long strip. Press the entire length of the strip. Isn’t this some happy-looking goodness? Measure it to see if you have the length you need. If not, then simply add another strip or two until it’s long enough. 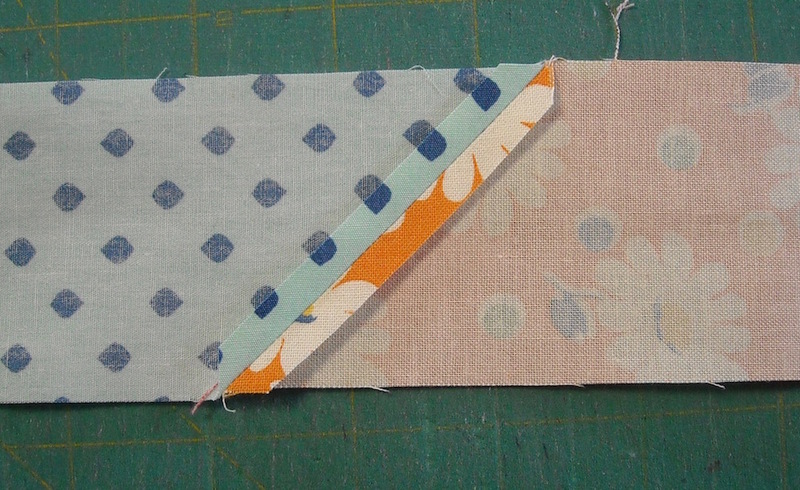 Then roll it up neatly so it can wait until you’re done quilting. It’s all ready to add to your quilt when the time comes! I’ll be back in a day or two to talk about the backing for my quilt and how I quilted it. 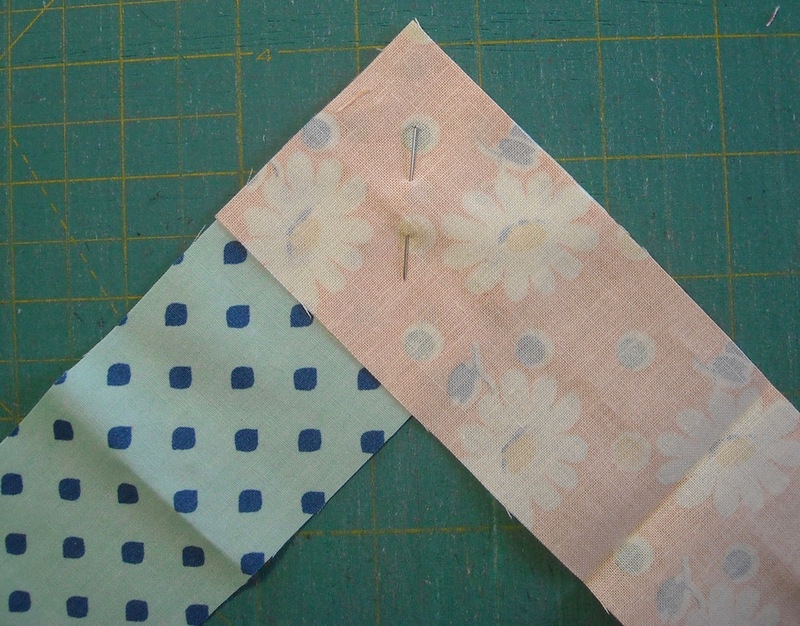 Then I’ll also do a tutorial on how I attached the binding to the quilt, so be sure and check back if you need help with those things, or if you’re just interested in seeing how I did mine!